Do you enjoy creating beautiful things with stuff you buy at Dollar Tree? If you haven't tried it, you should! It feels so good to make something awesome and it only costs you a few bucks. 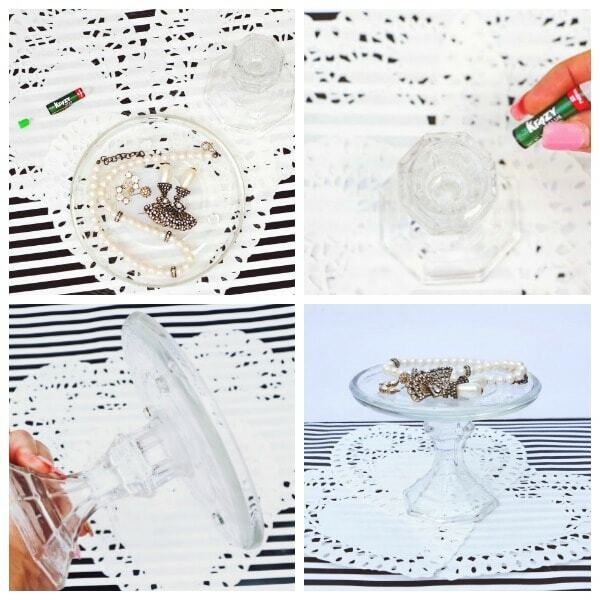 This DIY glass jewelry tray with supplies from dollar tree will look great on your dresser or even as a gift. I am always amazed at how pretty glass decor can be. It goes with almost any decor scheme and has a really elegant look. 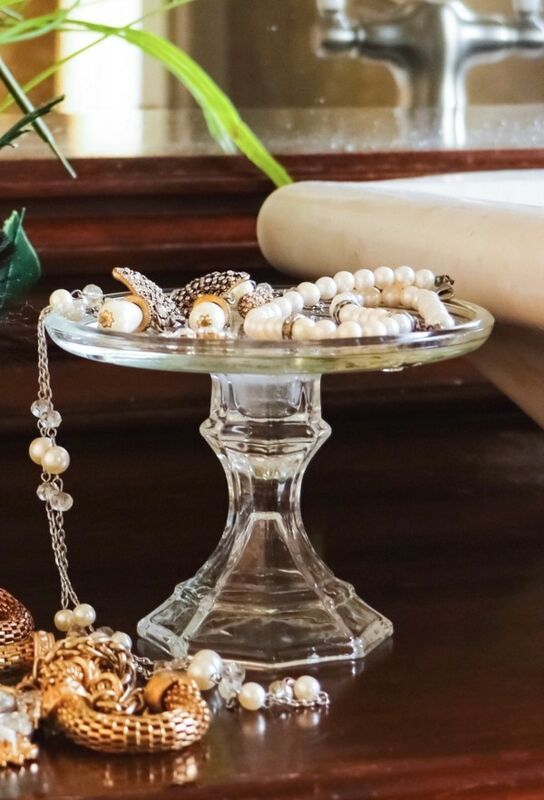 Jewelry looks especially great on this DIY jewelry tray. Bring on the bling! I know my girls will all want one for their rooms. Putting bracelets and necklaces on this tray is my plan. I don't think it is going to work very well for earrings because they could fall off too easily. I plan to use this as a resting place for jewelry I take off in the evening so it isn't just laying on the dresser. Head out to your local Dollar Tree and get ready to spend $3 on this project. 😆 Now if you don't have a Dollar Tree near you just head to Walmart or even order from Amazon! Take the glass candle holder and the super glue. Squeeze the glue onto the rim of the glass candle holder. Now take your glass candle plate and place it on your glass candle holder. Make sure the glass candle holder is nice and centered. Let the glass candle holder and glass candle plate sit for a few minutes and dry. 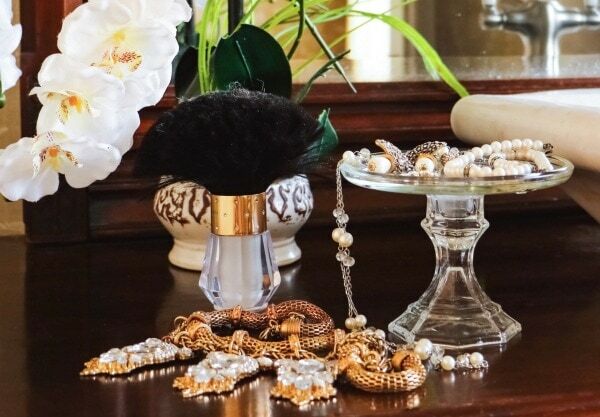 I have seen similar looking jewelry trays at places like TJ Maxx for around $20. Spending only $3 and a few minutes to make this is a much better deal! What are your favorite DIY projects? 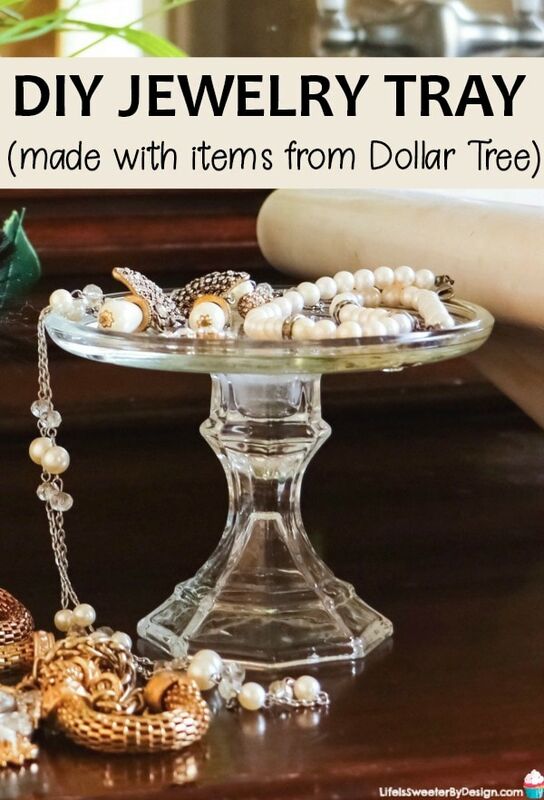 Have you made anything with items from Dollar Tree that you are proud of and want to share?